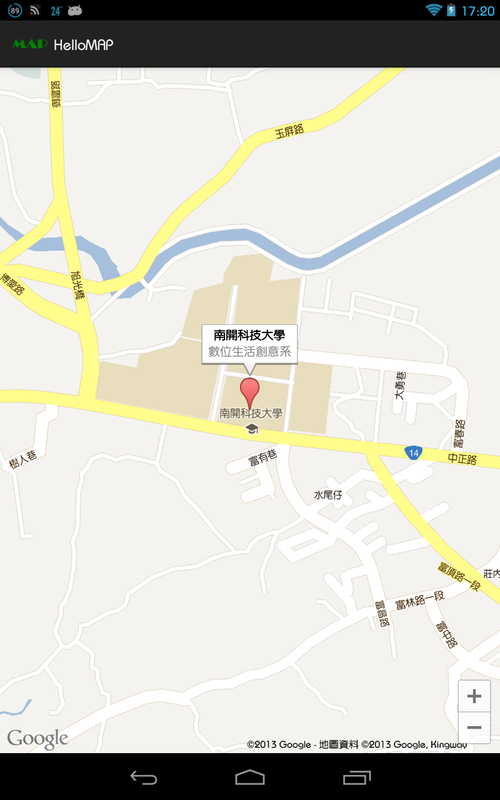 // Move the camera instantly to NKUT with a zoom of 16. 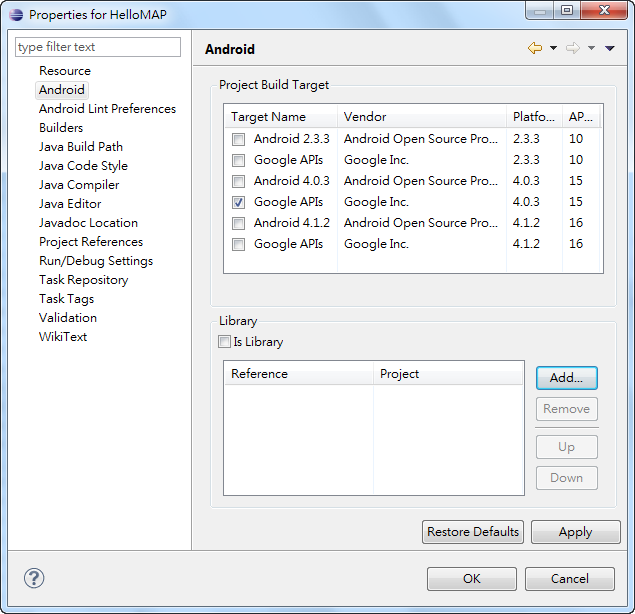 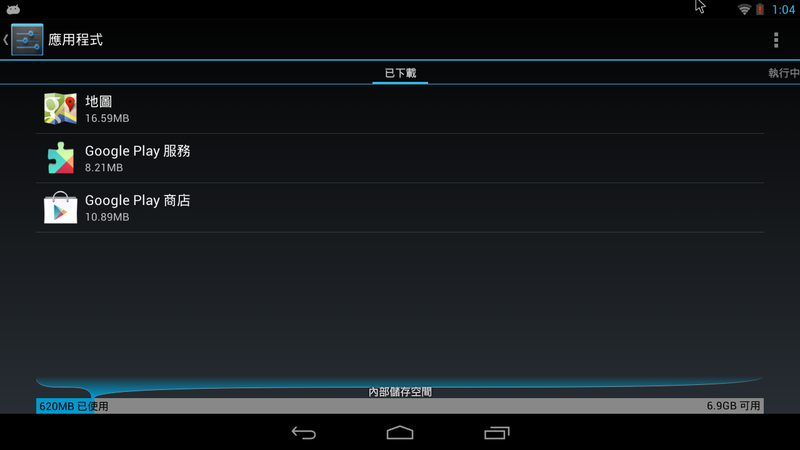 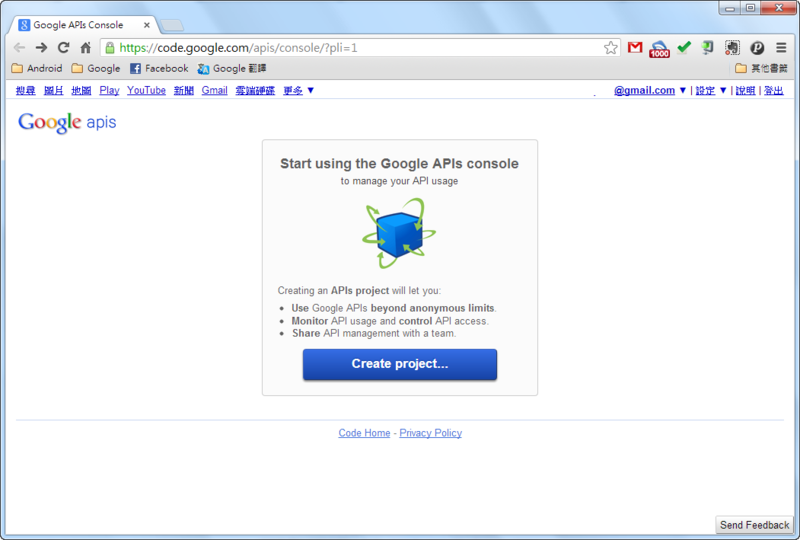 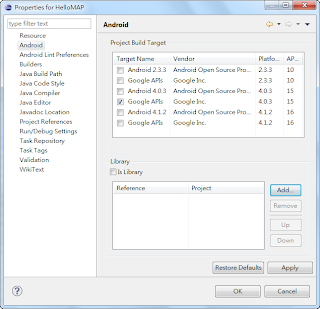 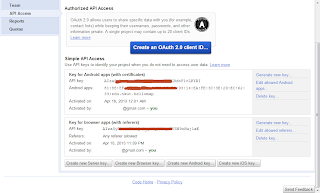 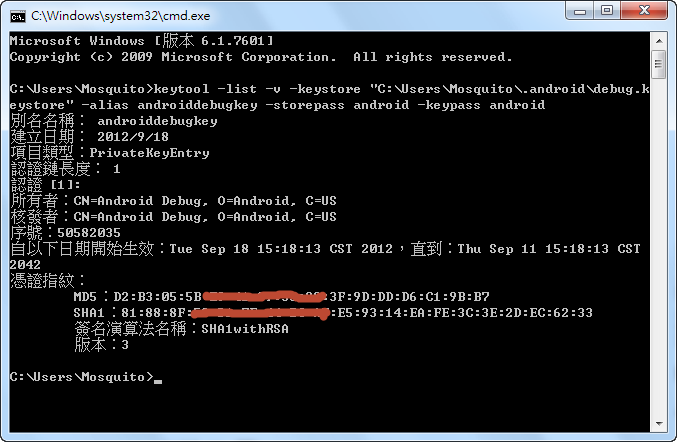 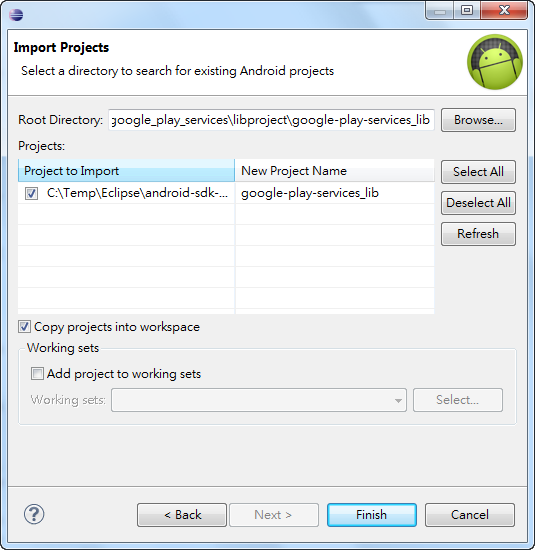 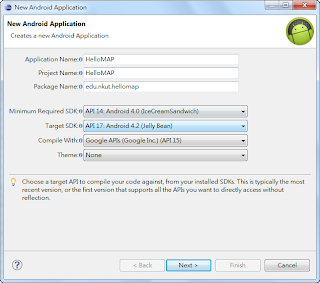 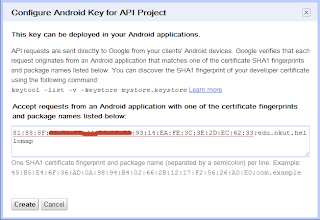 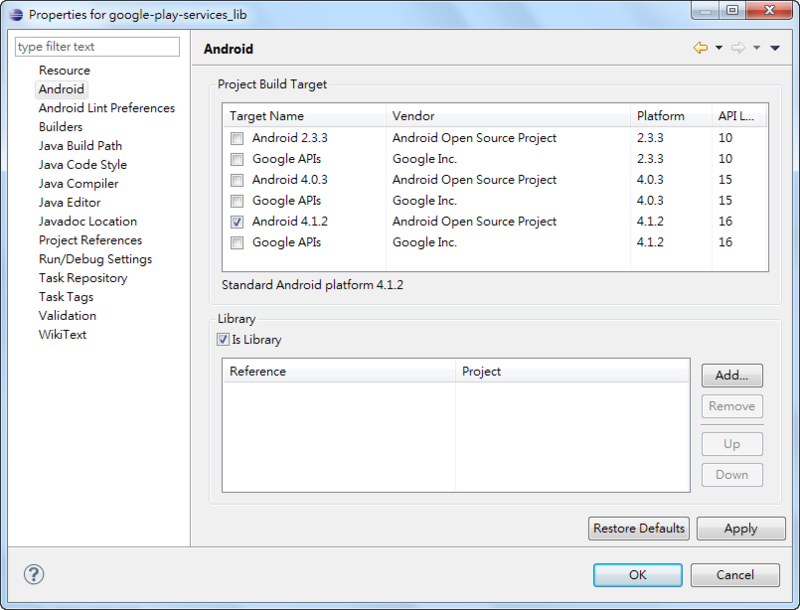 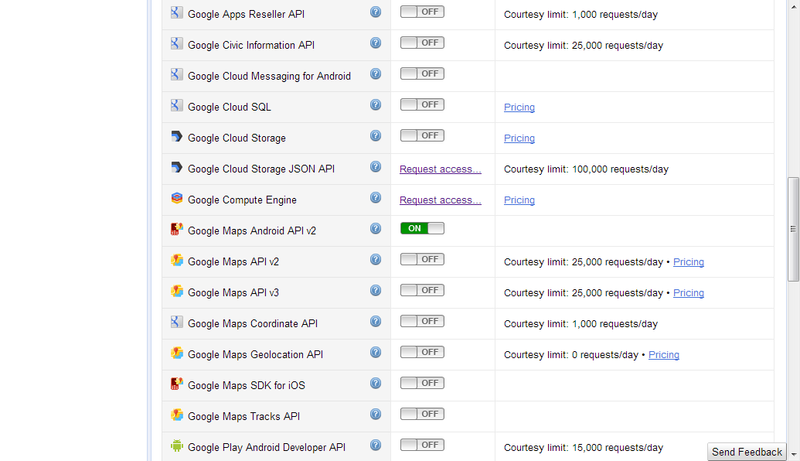 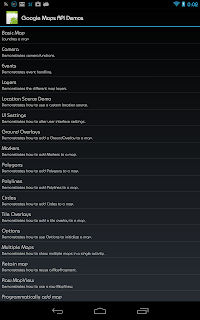 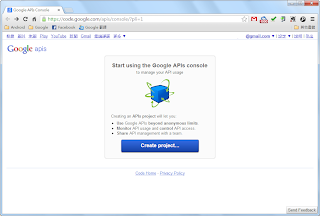 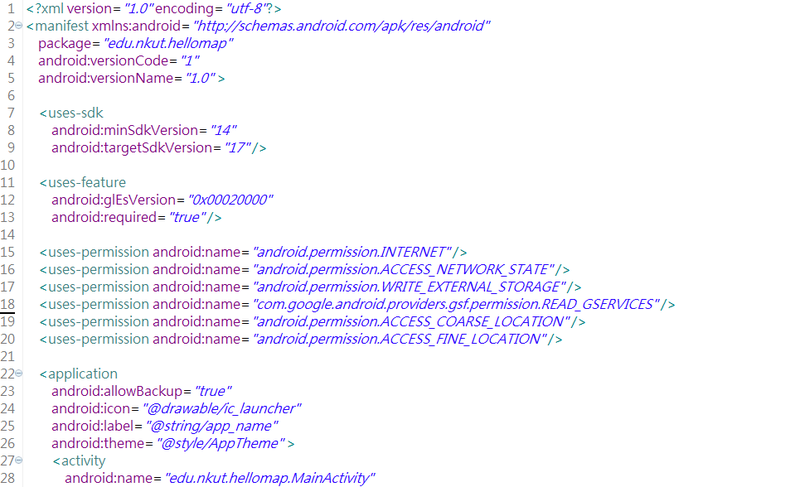 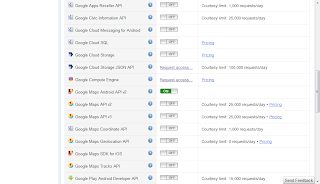 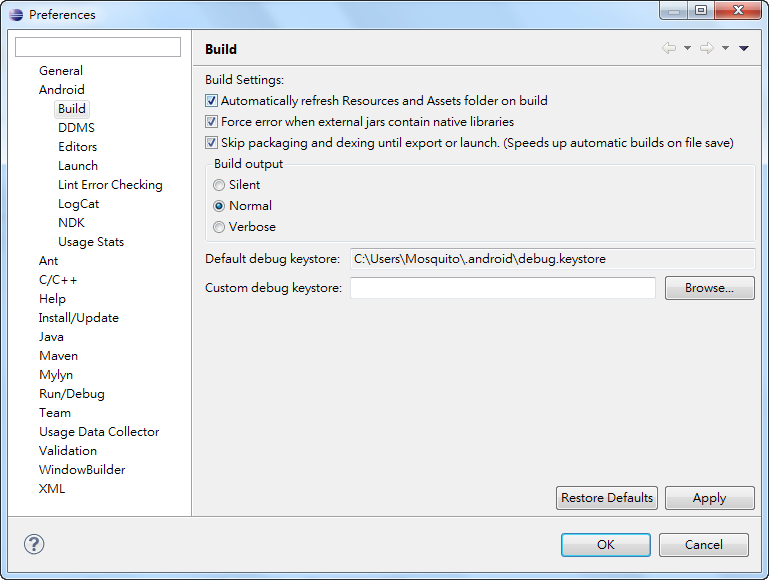 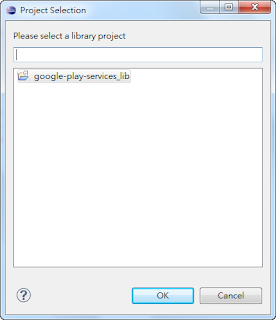 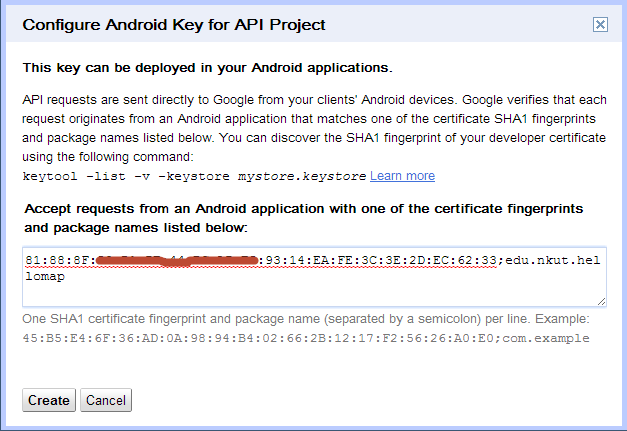 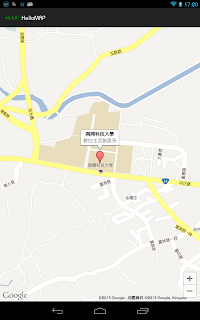 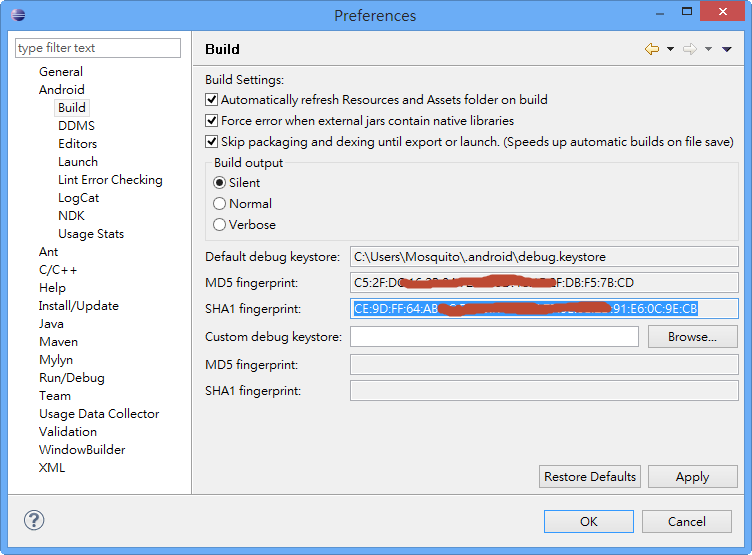 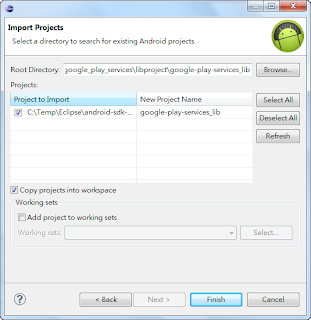 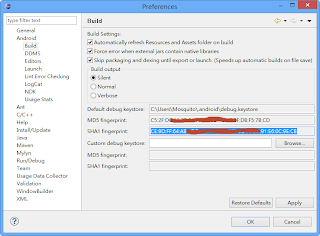 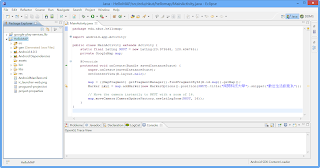 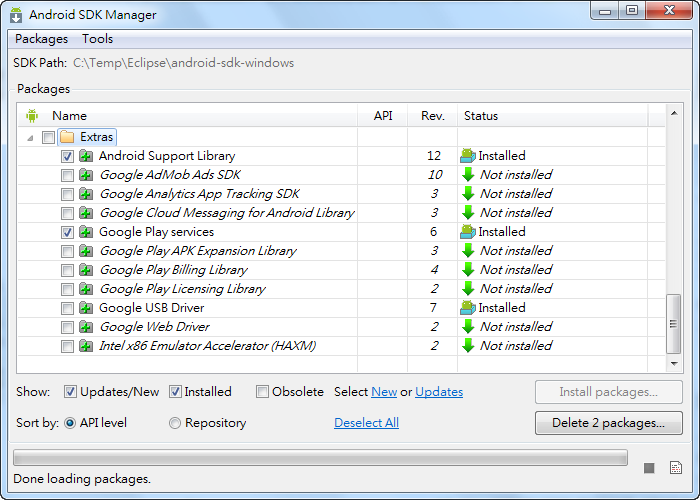 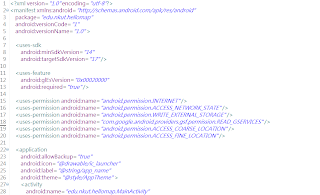 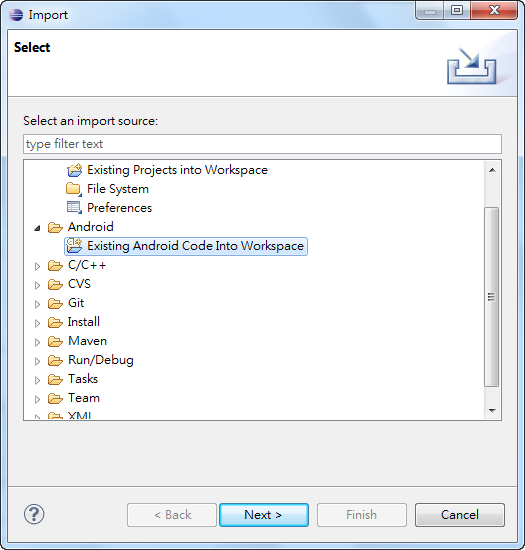 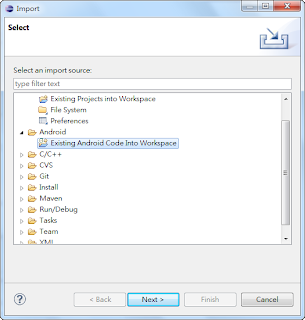 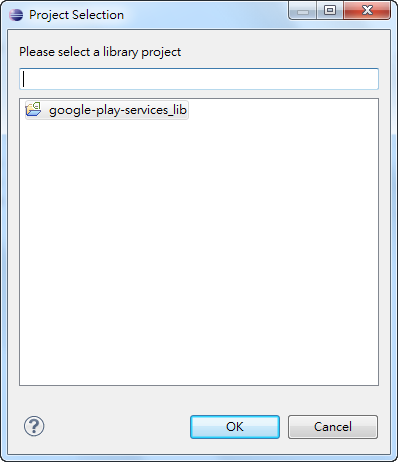 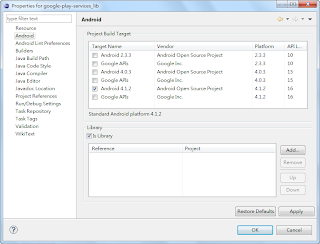 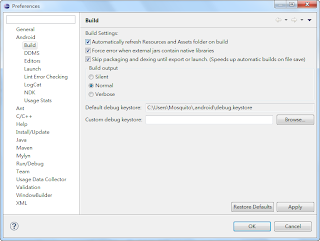 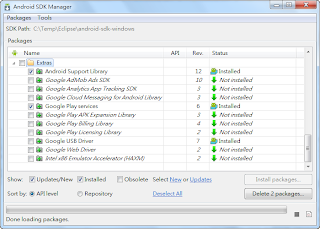 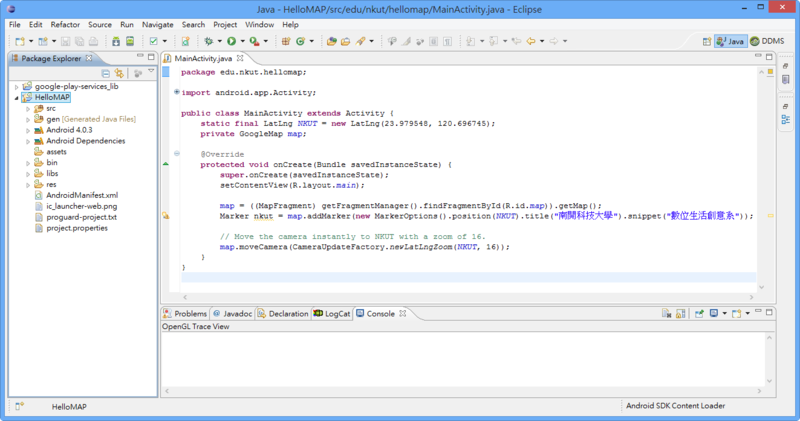 我是用android 4.0.3 API 15 作為開發 請問一下該怎麼解決 !? 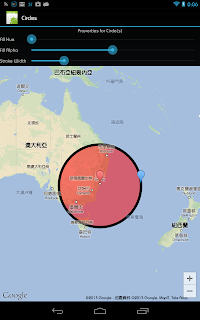 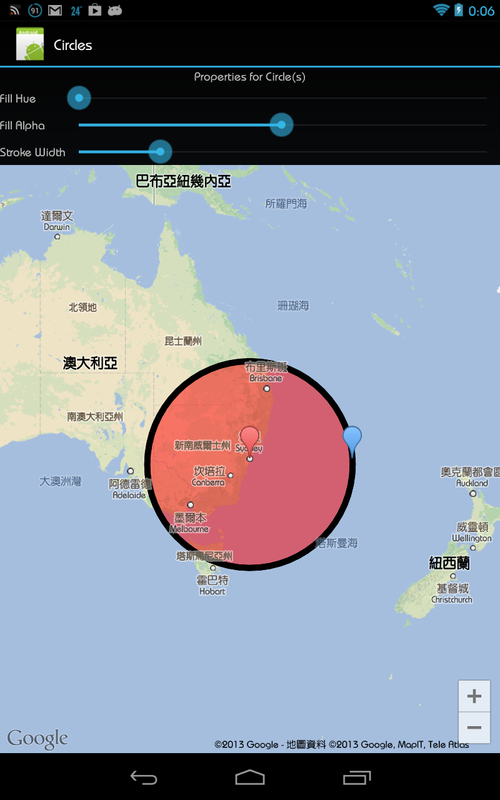 你先確認一下nkut這個參數，有沒有跟程式中static final LatLng NKUT = new LatLng(23.979548, 120.696745);這行的" NKUT " 一樣? 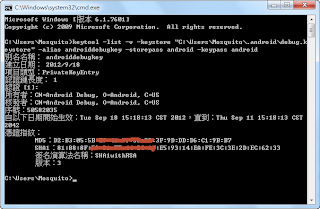 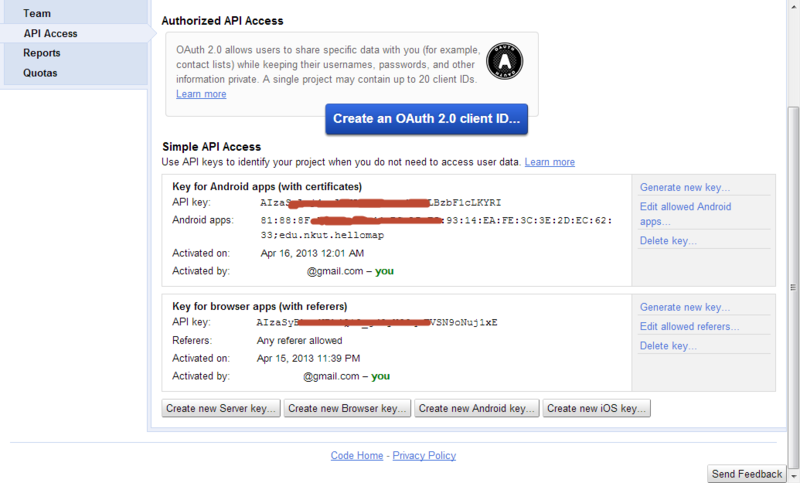 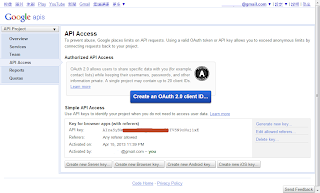 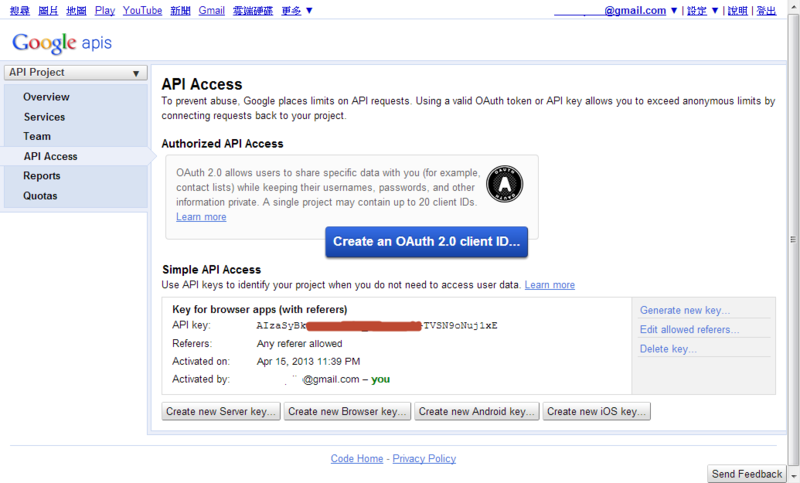 Q2.之後我又在"Google APIs Console 頁面Android專用的 API key頁面。"把我這組KEY刪了，為啥我程式還能跑出地圖? 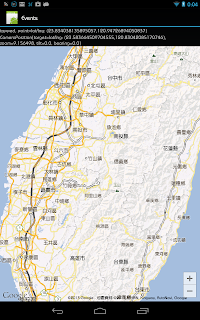 老師你好 我想請問一下 我照著步驟做 可是進入模擬器點選程式後卻出現unfortunately HelloMAP has stopped 是哪一邊出錯呢? 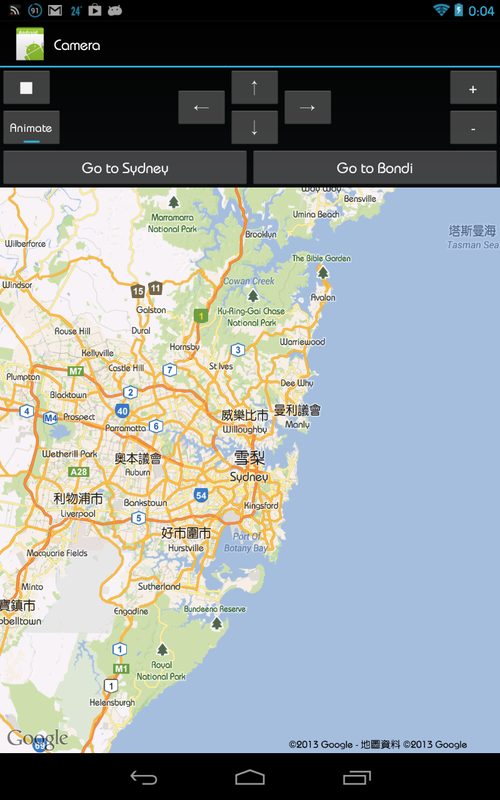 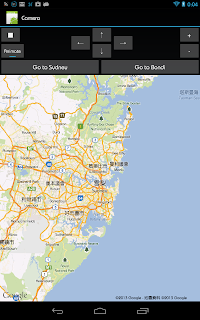 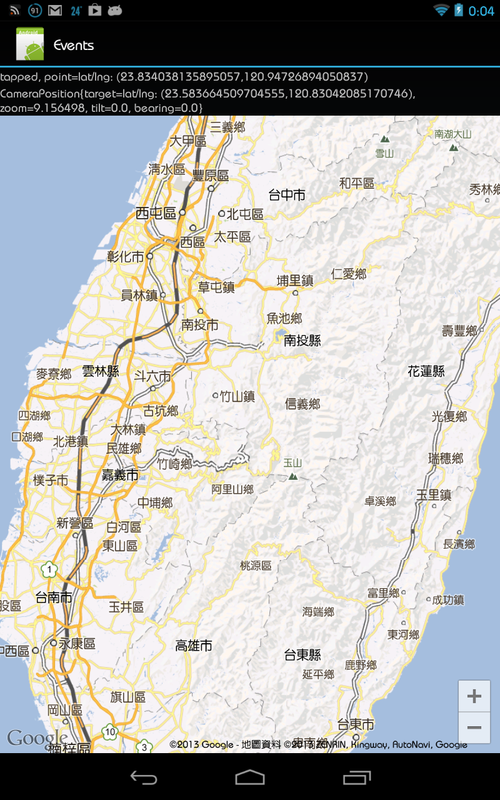 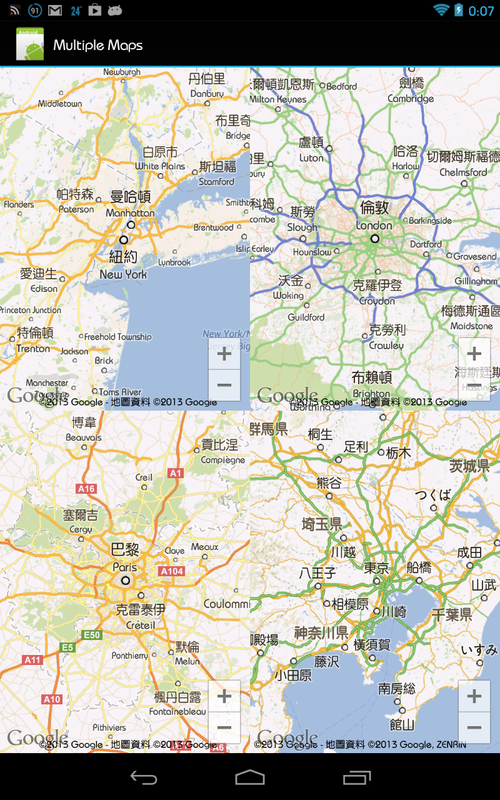 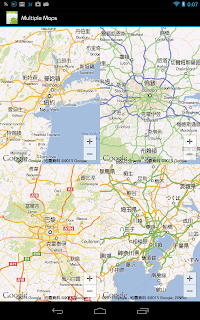 老師 如何按下button 之後 跳到其他的Activity 使用其他的XML 來顯示 google map?